Motivation for the World – Motivation for the world: one person at a time! Monday Motivation! Affirmation for the Day: I am self-motivated so that I can put in the necessary effort to become more successful… 2motiv8: Your daily dose of motivation! Tuesday Transformation! Idea for the Day: Forgive someone today. Remember forgiveness is for you, not them!… 2motiv8: Your daily dose of motivation! Wednesday Wisdom! Quote of the Day: It’s better to be a lion for a day than a sheep all your life. Elizabeth Kenny… 2motiv8: Your daily dose of motivation! Thursday Thought! Word of the Day: goal: the object of a person’s ambition or effort; an aim or desired result… 2motiv8: Your daily dose of motivation! Friday Feeling! Exclamation for the Day: Thank God it’s Friday!… 2motiv8: Your daily dose of motivation! Saturday Vibe! Question for the Day: What activities cause you to feel like you are living life to the fullest?… 2motiv8: Your daily dose of motivation! Sunday Sharing is Caring! Verse for the Day: May the Lord give strength to his people! May the Lord bless his people with peace! Psalm 29:11… 2motiv8: Your daily dose of motivation! Build Multiple Revenue Streams NOW! Anyone who relies on their 9-5 job to pay their bills, entertainment, and necessities is playing a dangerous game. You are literally putting your “life” in the hands of your employer. Look at what’s happening right now with the government shutdown. So many federal employees are struggling mightily because they are dependent on the paycheck from the government job. Now that paycheck is not coming, and many of these people are feeling the squeeze. You might not be directly affected by not getting paid thanks to the shut down, but your employer could decide you are expendable. Years ago, when employers showed more loyalty to their employees, relying on one paycheck was a safe strategy. Now that employers are less loyal to their employees for various reasons, relying on one paycheck is a risky proposition. I suppose the idea is to work hard and the employer will reward you. The paycheck will keep coming. But what happens if it doesn’t? The bottom line is your employer will look to keep the company afloat with or without you. I am sure you have heard of downsizing. Downsizing is when a company cuts payroll in order to maintain its profits, or at least reduce expenses. It works for the employer. It doesn’t work for the employee, especially when the job is their only source of income. What happens if you get laid off due to downsizing? Another fact of life of companies either shipping jobs to other countries or closing completely. We rarely hear about how many companies relocate offices and jobs out of the US. On the other hand, we do hear about companies who announce a massive layoff or a shutdown altogether. Either way, the employee will be left without a job. If you find yourself in a situation where you job downsizes, ships your job overseas, or closes, I hope the paycheck you lose is not your only source of income. I know this from first-hand experience. A few years ago, I was laid off due to downsizing and eventual closure of the company I worked for. It was my only source of income. The good news was I received a severance package. The bad news was it would only carry me for a month. After that, I had to finish off my savings and most of my 401K just to make ends meet. Although I survived thanks to a part-time job that I kept once I got a new full-time job, the damage was done. Many people aren’t as lucky as me. The mistake I made was not thinking about what would happen if I lost my job. Another mistake was depending on that job as my only source of income. The last mistake was draining my “assets” because of my first two mistakes. I didn’t know what I didn’t know. Now I do. To protect myself from this happening again, I need multiple revenue streams. You also need multiple revenue streams, especially if you depend on your job as your only source of income. First, we need to be clear about what revenue streams are and how they are necessary. Revenue streams are things that bring in money. A job that provides a paycheck is a revenue stream. A service you provide the earns money is a revenue stream. A rental property is a revenue stream. An investment of any kind that pays a dividend is a revenue stream. Even a bank account that draws interest is a revenue stream. All these types of revenue are important because they are income that you can use as needed. The idea is to have more than one of these revenue streams to protect yourself and your lifestyle. As we have established, today’s volatile work environment means most families need both spouses working. This is an example of two revenue streams. But is it enough? It might be, but I think its better to have more than these two sources of income. Both jobs offer 401Ks that grow over time for funds that can be used in emergencies and retirement. It’s a start, but not the best example of adding new revenue streams. Like 401Ks, buying stocks and CDs (certificates of deposit) are revenue streams, but not necessarily worth pulling money out of when times get tough. We need to learn about passive revenue streams to get a clearer picture. These are just a few examples. The good news is anyone can do one or more of these things. I will say that getting started will require a solid plan, a good amount of time, and maybe even an initial monetary investment. However, if you set up your revenue streams properly, develop and grow them, and have patience you may build sources of income that one day match the money you make on your real job. Building passive revenue streams take time, but the payoffs will be worth it. On top of that, you can protect yourself in case your employer decides your services are no longer needed. On a personal note, I have a regular job and two other revenue streams. I am building 3-5 more at the time of this writing. After doing some research I have learned that many of the highest achievers in our country have 5-7 revenue streams that include jobs, investment portfolios, and selling services. They can withstand a job loss, as well as a downturn in the economy. They have learned how to build multiple revenue streams NOW! I hope you learned too. I know what it feels like. So, I create blog posts with concepts that inspire people. I know what it feels like. So, I write self-help books to help people. I know what it feels like. So, I made an app to provide a daily dose of motivation. I know what it feels like. So, I speak words of encouragement as often as possible. I know what it feels like. So, I love all and serve all. I hope you never know what it feels like. The laws we are all aware of are the laws created by man. However, there is another set of laws, given by God, that exist for our benefit. We should be aware of these mental laws. The mental laws exist, and they are timeless. They are keys to becoming successful and achieving goals for millions of people. In fact, as we study the highest achievers, we learn that they believe in these four mental laws and put them into practice. The four mental laws are a major part of their success. Once again, if we all learn and apply these concepts, they will lead to success. The best ways to learn the laws that follow is the old-fashioned way: read the definition followed by an example. The reader should put some thought into each law and understand the power and impact of each concept. Then, the laws should be tested, either by putting in your own examples or looking out for the laws at work in the future. The law of attraction means we can bring into existence the things we want in life. The law of attraction works like magnets. Two magnets will align and attach to each other on given sides based on their magnetism. The law works in various ways in life, but the concept remains the same: each person can get whatever they want in life. This should be read again. We all are “magnets” who can attract things. LEARN TO ATTRACT POSITIVE THINGS TO SEE POSITIVE RESULTS! PRACTICE AND YOU WILL SEE POSITIVE RESULTS IMMEDIATELY! you should not give ONLY because you will get something in return; instead give for the sake of helping others. you should not take from others and expect to get something in return; this never works. GIVE ABUNDANTLY TO BE REWARDED FOR PROVIDING SERVICE! The law of expectancy means whatever you expect will come to pass in your life. It is perhaps the most powerful of the four laws. If you have high expectations, you will seek ways to fulfill those expectations. On the other hand, if you have low expectations, you will seek ways to fulfill those expectations. The goal is to continually raise your expectations, then your mind will work toward making those expectations your reality. EXPECT SUCCESS AND YOU WILL BECOME SUCCESSFUL! Understand how to follow the mental laws! Use ’em or lose ’em! Grit can be defined as determination. It is so important that it needs more explanation than a simple definition can offer. GRIT is not only determination, but also determination in the face of insurmountable obstacles. In this life, we all face problems that will appear to be impossible to overcome. We all face daunting challenges. We all face difficulties that look like the end of the road is near. GRIT is what keeps us going despite these burdens. GRIT is tied to faith. Faith is the belief that things are, or will be, better than they look now. Faith sees what is possible, not what is current. Obstacles and challenges look like victories and successes when we apply faith to our situation. GRIT helps our faith while we work toward the outcomes we believe will happen. GRIT is tied to perseverance. Perseverance is the ability to press on in the face of difficulty. Perseverance allows us to take the next step forward, even though it may lead to another challenge. Perseverance helps us to meet the next challenge, and work toward a successful outcome. GRIT is the substance of perseverance, the ability to survive and advance. GRIT is tied to patience. Patience is required when the results we seek are delayed. Sometimes in life there is no immediate gratification. Instead, we can wait for extended periods of time before we achieve the success we seek. GRIT allows us to be patient, while the work we put in starts to show tangible results. GRIT is tied to passion. Passion is the desire to chase or pursue. Passion requires strong desire, even when it is difficult or challenging to continue. Passion allows us find that spark, and then use that spark to move forward. GRIT fills the void when passion declines and needs an injection of enthusiasm. GRIT is tied to motivation. Motivation toward a positive result requires positive thoughts and actions. We are always motivated. Motivation to achieve great things in the face of hardships requires constant reinvention and reflection. We may not always be motivated to keep going. GRIT is the fuel behind our motivation when it pushes us beyond what we think we are capable of achieving. There are many people in our society who are experiencing mental health issues. Often, these people do not know where to turn to get help. This is an outstanding resource for those who suffer from mental illnesses. The struggle is real, but so is the help being offered by people who care. Please feel free to add additional resources and links into the comments section below. Also distribute this resource and others to those in need of help. 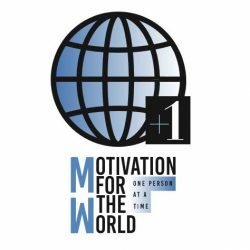 I created the Motivation for the World blog to have a powerful voice and positive impact. The articles posted are for all people who are seeking better results, self-improvement, and life-changing success. Along with my other blog, Wake Up/Rise Up, I am able to get people talking about issues that affect us all. I write. You read, We learn. Together. Everyone must master the subtle art of improving our body language to promote a better image in our society. Body language speaks volumes about how a person is feeling, their outlook on life, and how they conduct their business. A concept directly related to body language is making a first impression. First impressions are extremely important; those who leave good impressions will be more likely to achieve success than those who do not. There are many skills that will improve our body language. When combining proper body language with using proper English and dressing for success, there is no doubt that African Americans can compete, and win in any situation. We simply need to master the skills that so many high achievers use to guarantee their success. The following skills are keys to improving our body language. We should stand up straight and hold our head high. When sitting, we should lean slightly forward and be sure to be upright without slouching. These actions show confidence. They present a positive outlook and give off a good first impression. Those who make good eye contact are perceived as trustworthy. We should learn how to look others directly in the eye when speaking. This is especially important when we are trying to make a favorable impression. A firm handshake shows confidence. It also shows strength and eagerness. Those who give firm handshakes are taken seriously and they are well respected. Hand gestures suggest excitement and energy. When speaking, use proper hand gestures to make points clear and emphasize ideas. Be careful not to constantly move the hands because it portrays nervousness. Use hand movements that come naturally; do not force them. When engaged in conversations, use appropriate responses that include both verbal and non-verbal reactions. Such reactions include appropriate facial expressions, short pauses before speaking, and verbal responses to show that you are listening. Proper responses lead to more meaningful conversations. A smile works regardless of the situation at hand. It disarms people and gives the most positive response. Those who smile often are more likely to demonstrate their positive outlook. People tend to respond favorably to people who smile. Each of these concepts will allow us to give off the correct body language and make better impressions. Everyone should put these things into practice immediately. They could be the difference between opening doors to new opportunities or closing doors to lost opportunities. 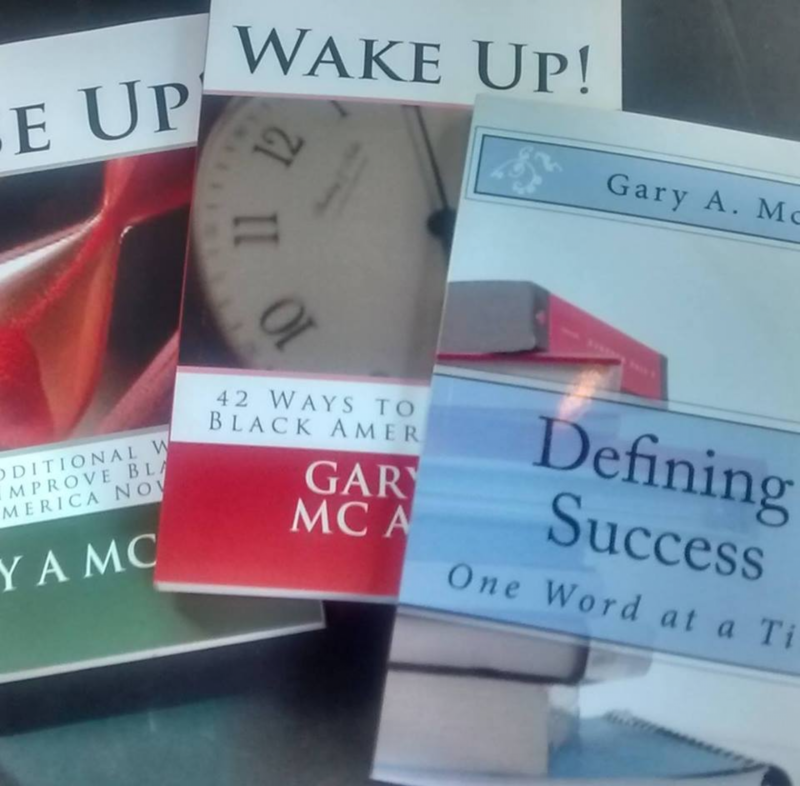 Gary A. McAbee created the Motivation for the World blog to have a powerful voice and positive impact in society. The articles posted are relevant to all people who hope to improve their lives and unlock their unlimited potential. Along with his other blog, Wake Up/Rise Up, Gary is able to get people talking about issues that affect us all. He is the proud author of three self-help books: Wake Up! 42 Ways to Improve Black America Now!, the follow-up Rise Up! 42 Additional Ways to Improve Black America Now! , and Defining Success: One Word at a Time.